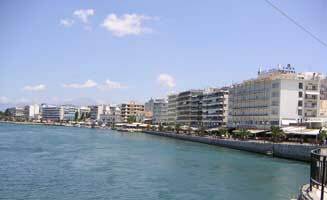 Chalcis or Chalkida ( /ˈkælsɪs/; Modern Greek: Χαλκίδα [xalˈciða], Ancient Greek/Katharevousa: Χαλκίς), the chief town of the island of Euboea in Greece, is situated on the strait of the Evripos at its narrowest point. The name is preserved from antiquity and is derived from the Greek χαλκός (copper, bronze), though there is no trace of any mines in the area. 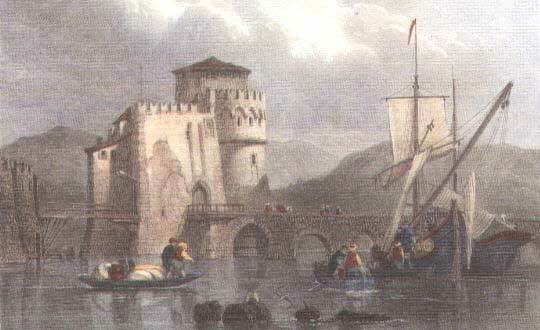 In the late Middle Ages, it was known as Negropont (Italian: Negroponte, "black bridge"; Greek: Νεγροπόντε), a name that was applied to the entire island of Euboea as well. Exchibits in the archaeological museum of Chalcis. Venetian map of Chalkis (Negroponte) (1597). Under Roman rule, Chalcis retained a measure of commercial prosperity; since the 6th century it again served as a fortress for the protection of central Greece against northern invaders. From 1209, it stood under Venetian control as the capital of the Lordship of Negroponte; in 1470, after a long siege, it passed to the Ottomans, who made it the seat of a pasha. 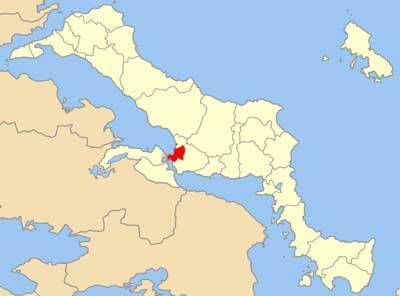 In 1688, it was successfully held against a strong Venetian attack. 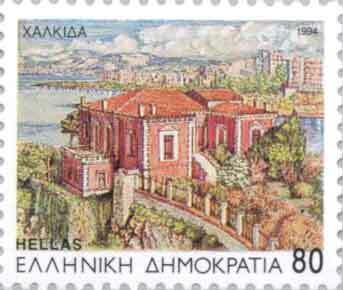 The modern town received an impetus in its export trade from the establishment of railway connection with Athens and Peiraeus in 1904. 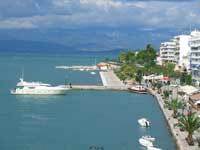 In the early 20th century it was composed of two parts—the old walled town towards the Euripus, called the Castro (i.e. the Castle), where the Jewish and Turkish families dwelt; and the more modern suburb that lies outside it, which is chiefly occupied by the Greeks. A part of the walls of the Castro and many of the houses within it were shaken down by the earthquake of 1894; part has been demolished in the widening of the Euripus. The most interesting object is the church of Saint Paraskevi, which was once the chief church of the Venetians; it dates from the Byzantine period, though many of its architectural features are Western. 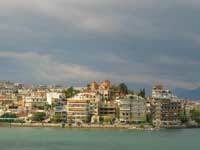 In 1899, Chalcis became the prefectural capital of Euboea. 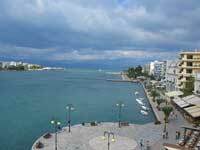 At the start of the 21st century, Chalcis had about 100,000 inhabitants. The old walls, near the Castro of Kara-Baba (Turkish, "Black Father") near the sea no longer stand. The sizable Jewish community was reduced after the World War II deportation. 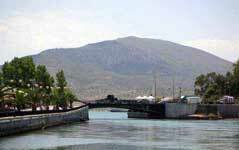 The Chalcis' Bridge connecting the island with the main land of Greece. 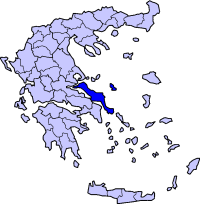 GR-1/E75 is south and west about 10 km from Chalcis in Boeotia. Chalcis is also served by OSE, the Greek railway network. Chalcis also has a water polo team named NC Chalkida, a football team named Chalkida FC, as well as a junior football team named Evoikos Chalkida. Chalcis also has a basketball team (AGEX) which plays in the Greek A2 Basketball League with success since 2002, touching many times the promotion to the A1 Greek League.